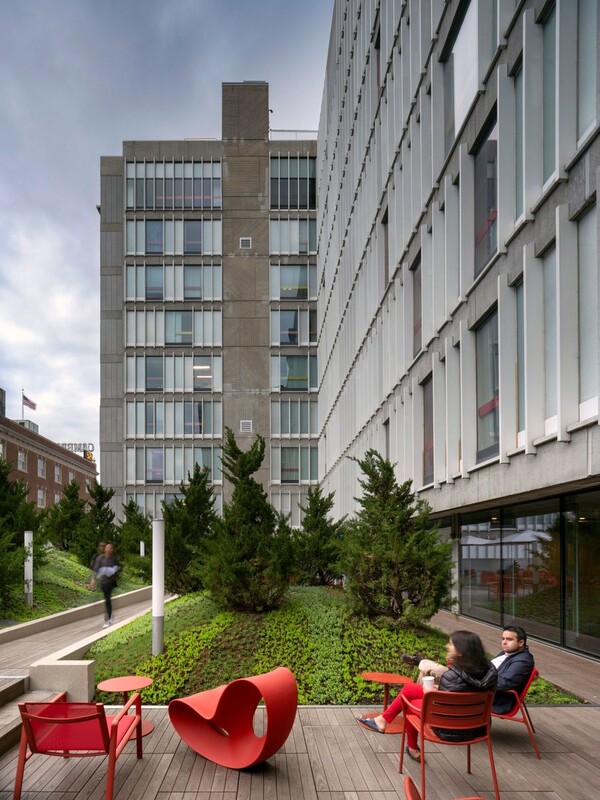 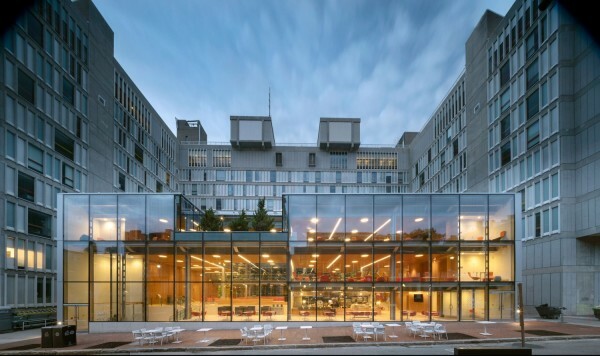 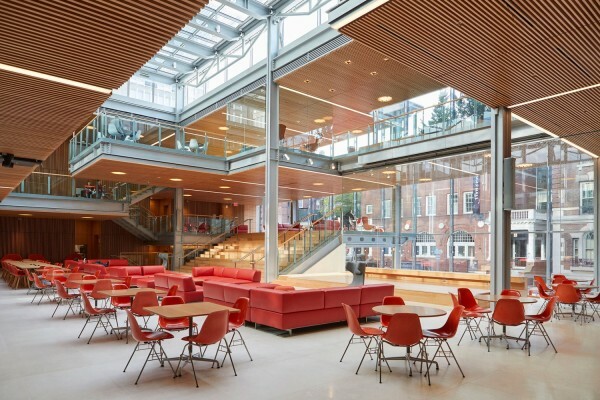 The new Smith Campus Center is a radical re-appraisal of the existing ten storey building on the site of the Holyoke Center designed by Josep Lluis Sert in the 1950’s. 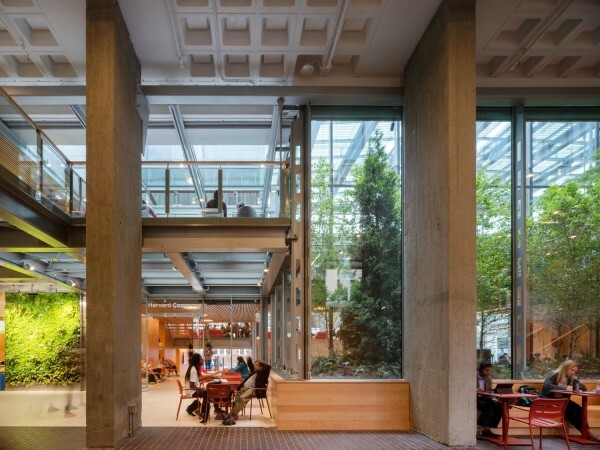 It is part of a wider ongoing University ‘Common Spaces’ initiative designed to ensure its physical spaces foster the campus’s intellectual, cultural and social experience and support the wider community. 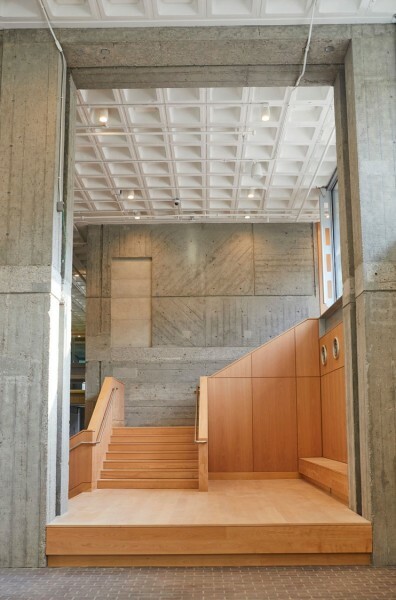 The project reconfigures the first, second and tenth floors, reinterpreting the history and logic of Sert’s architecture in a series of additions to and removals from the existing fabric to create a family of new internal spaces interspersed with a captured internal and external landscape. 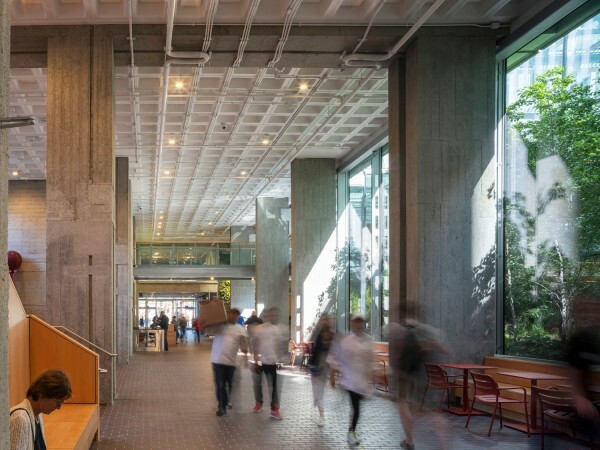 The new Moise Y. Safra Welcome Pavilion at the front of the building creates a front door for the University and re-establishes a stronger connection between Sert’s Arcade and Harvard Yard. 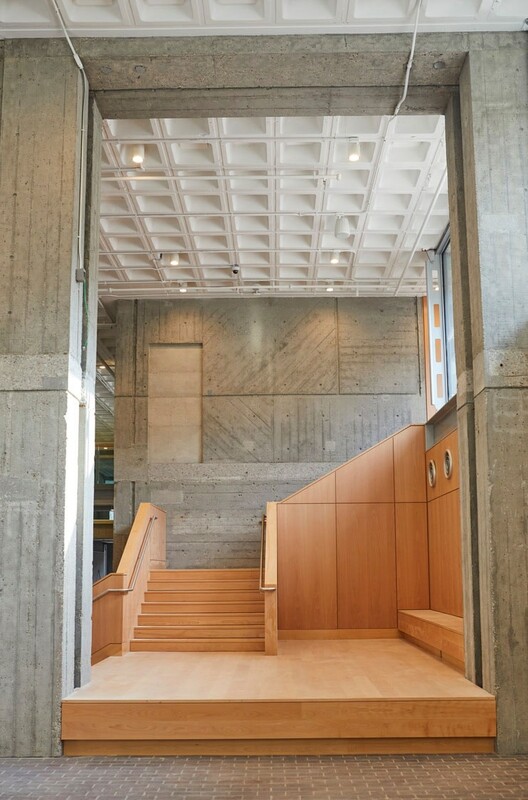 In the Arcade, by the careful removal of existing concrete fabric, light and view and landscape have been introduced into the heart of the building, changing the singular linearity of the Arcade, while allowing its defining order to remain. 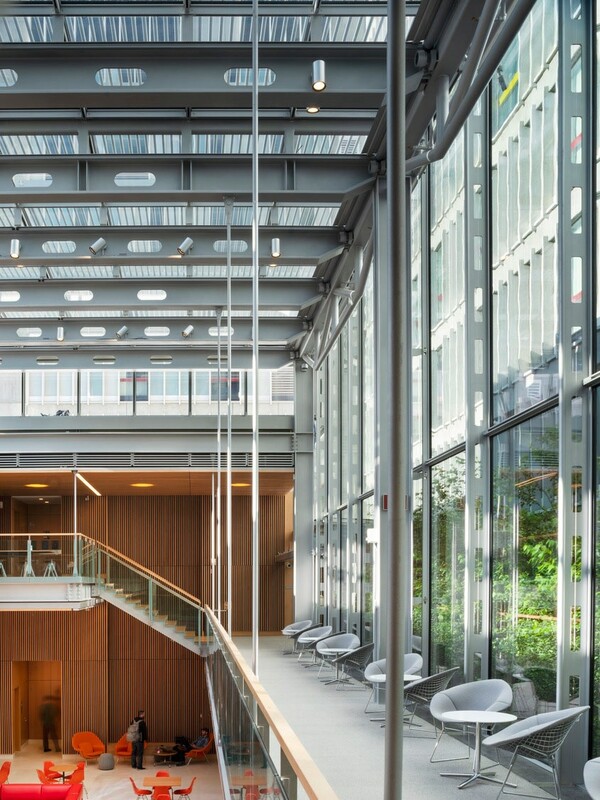 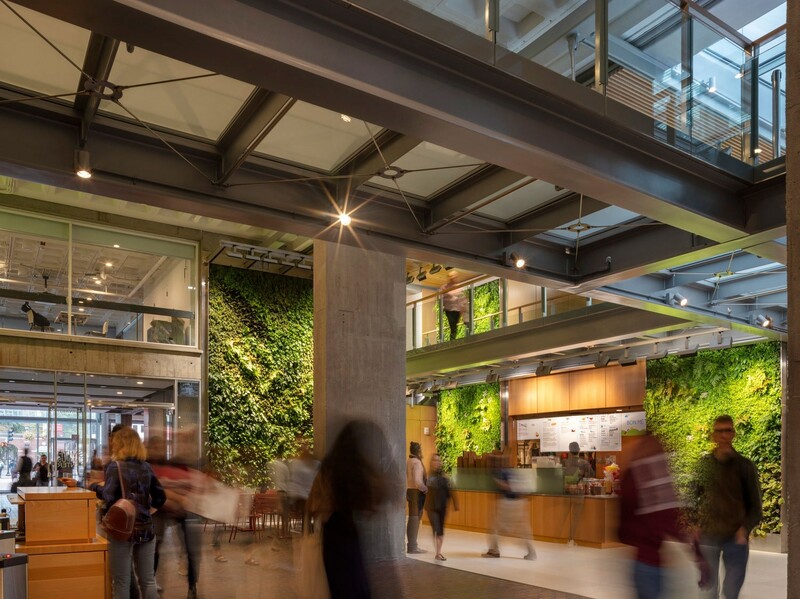 A series of internal and external landscape “thresholds” mediate between the Arcade and the new Harvard Commons space – the central room of the Campus Center, around which are gathered a series of social and meeting spaces of a variety of scale and character. 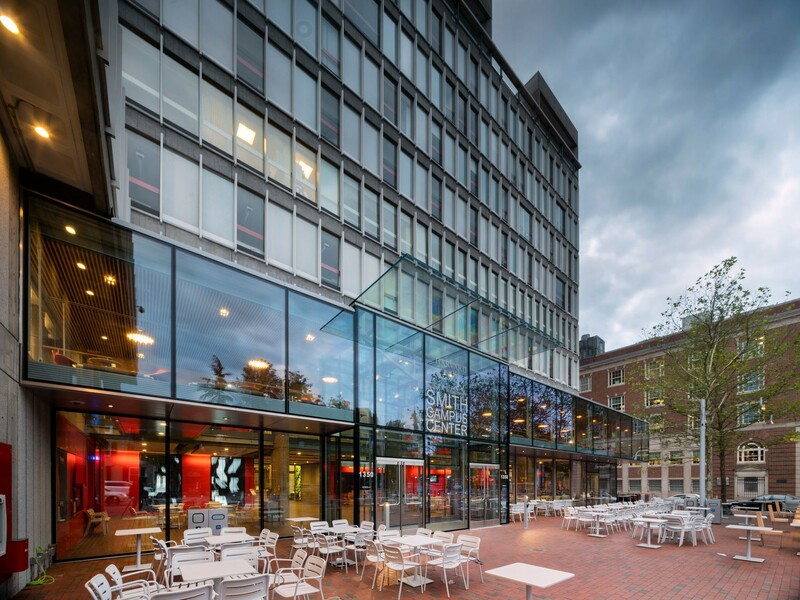 The 10th floor has been completely re-organised to provide a flexible suite of formal and informal gathering spaces that openly engage Sert’s building with the Campus, the Charles and the City beyond. 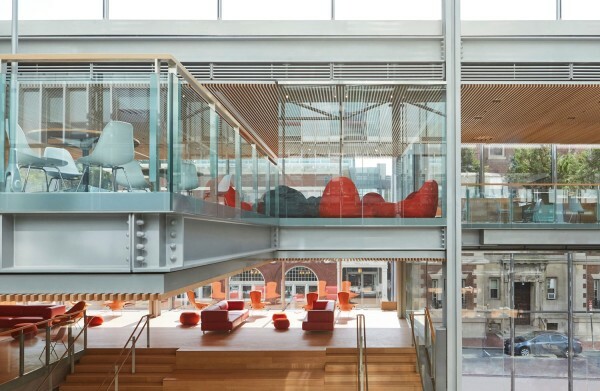 Hopkins Architects partnered with a US team including Bruner Cott, as Executive Architects, Arup, Faithful and Gould, Simpson Gumpertz and Heger and Michael Van Valkenburgh Associates.